Copyright 1987-1992 Phoenix Technologies Ltd. Thanks a lot Tetrium, your idea of filming the BIOS POST screen enabled me to write all of that info down! I have installed the Windows 3.x driver for this card (available below as a link), and it includes a DOS utility called refresh.exe. Using it, you can choose which resolution corresponds to which refresh rate. I tried 1280x1024 @ 60Hz, but Windows 3.11 displayed its desktop with a lot of very weird corruption and screen flickering. In fact, all 1280 resolution & colour depths resulted in failure. So, I used 1024x768 instead. Edit: Added 3) & 4), below. 1) & 2) I tested both of these drivers, and they worked in Windows 3.11. I could not get resolutions of 1280 to work. Also, I could not get resolutions of 1024 to work, with a colour depth greater than 256 colours. I am using an 19" LCD monitor. 3) This is the latest version that I can find. 4) This is dated around the same time as the driver on the Windows 95 CD. It probably doesn't make any or much difference which one you use. I found version 2.41 of the S3 86C801/805 Windows 3.x drivers on DriverGuide. Does any one have a later version, please? 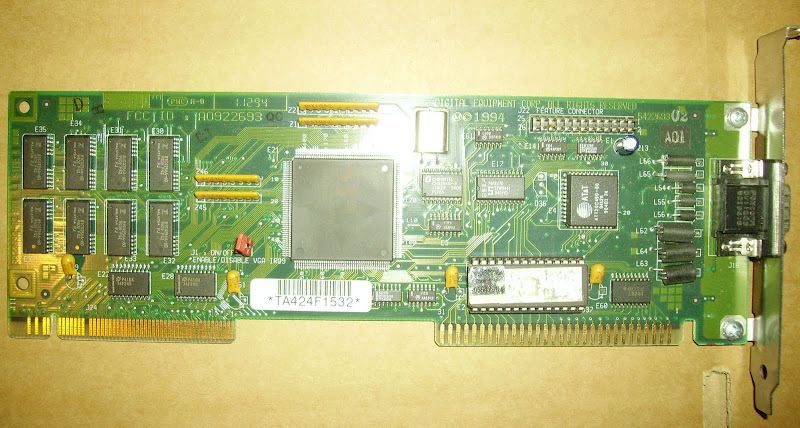 Also, does any one have any installation diskette(s) for this particular DEC S3 86C801/805 card please? Thanks a lot. I'm testing this card on an Asus VL/I-486SV2GX4 revision 2.1 mobo. It has an AMD DX4 120 MHz (write back) CPU in it, with 1 stick of 16MB FPM. 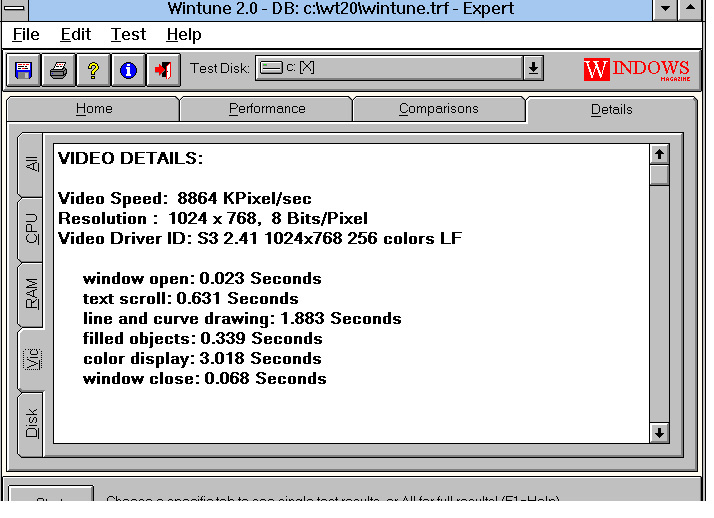 I have been using 3DBench version 1.0, Quake, Doom, and WinTune 2.0 for Windows 3.x. For all of these tests, I have run them using the mobo's FSB setting of 50. I can run this mobo+CPU with every setting (both mobo and BIOS) maxed out. 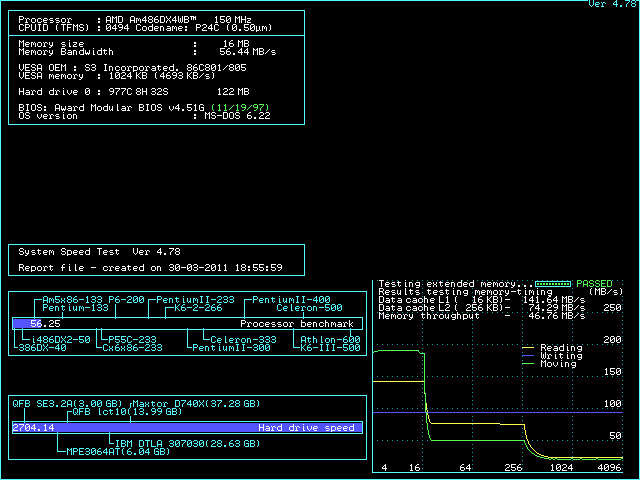 I increased the CPU's voltage jumper from 3.3 to 3.6. 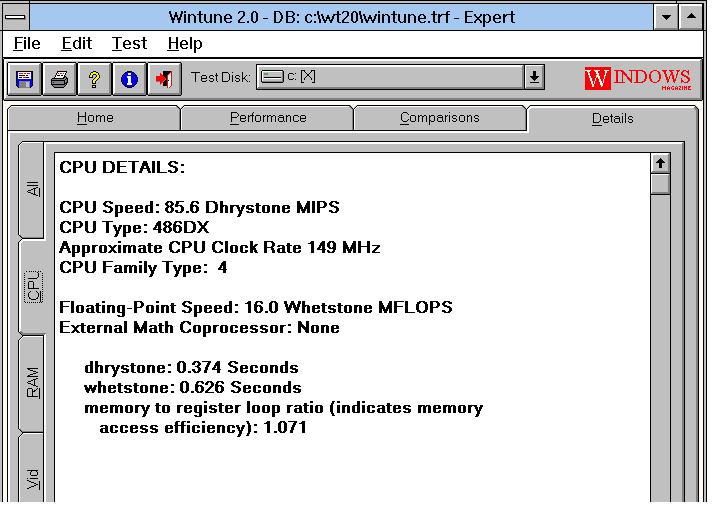 The WinTune 2.0 benchmarks seem to be good. My very early impression is that this board seems to work very well with the overclocked (50 FSB) AMD DX4 120 MHz write back CPU. I'm quite surprised! Last edited by retro games 100 on 2011-4-15 @ 09:56, edited 1 time in total. Thanks a lot Tetrium, your idea of filming the BIOS POST screen enabled me to write all of that info down! Btw, is the card any good? I know the later S3's were good, but I know relatively little about their pre-Trio stuff. Thanks a lot! I downloaded some more drivers from that website. I downloaded and tested the Windows 3.x and Windows 95 driver. I then ran some more benchies! For the Windows 95 test, I left the mobo's settings (both jumper and BIOS) on "maximum/fastest performance". 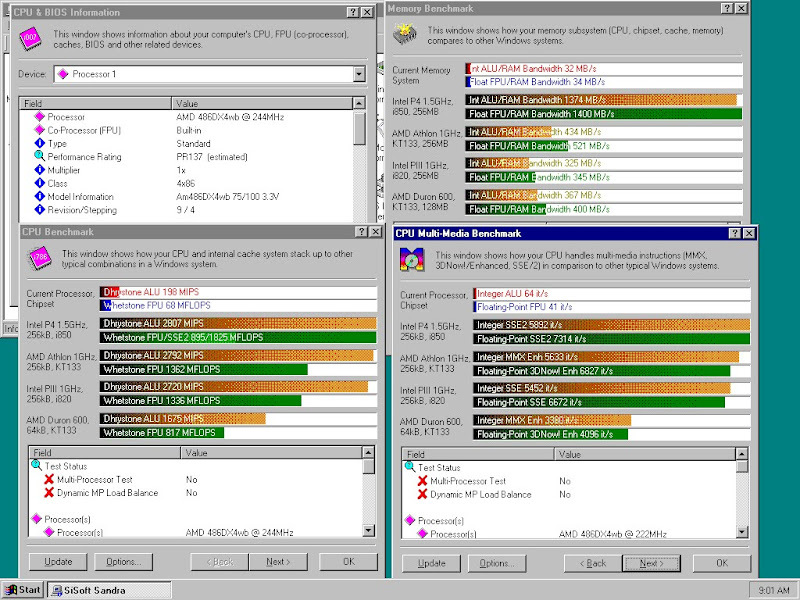 I'm impressed with this OC'd AMD DX4-120 --> 150 MHz CPU+mobo combo. Sandra 2001 shareware, in Windows 95. The CPU speed is wrong. It should be ~150! Also, does anyone have the "pro" version of Sandra 2001 please? I'm sure that will allow for better formatting. In the version I am using, I cannot resize windows, and I cannot select more appropriate comparison CPUs. I hate to dig up this thread... but I thought I'd just add a little more information. The card also comes in a Quadtel configuration which allows for an extra socketed 1mb. See more here, I've written up a post about it. i have a defective S3 805 - could someone manage to read the BIOS and uplod it somewhere for me to make sure its an hardware or an software issue?